It's rare when a mere sporting event succeeds in conveying the full force of worldwide political tensions. But when blood filled the Olympic Games pool during a water polo semi-final in Melbourne on December 6, 1956, it did far more to focus attention on the Soviet invasion of Hungary than the Games boycotts of the Netherlands, Spain and Switzerland combined. 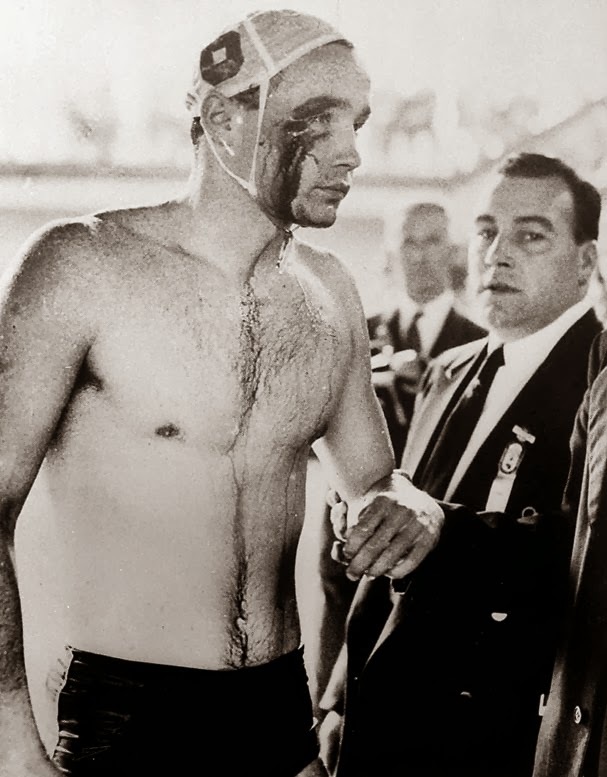 Hungarian water polo player Ervin Zàdor leaves the pool during the violent Soviet Union-Hungary Olympic Games clash in Melbourne in 1956. 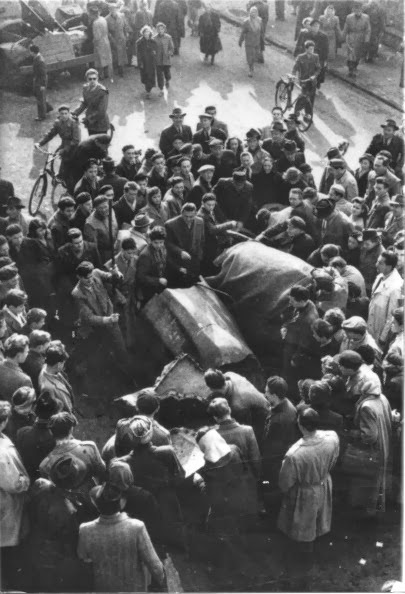 Hungarian anger at the Soviet invasion of their homeland one month earlier erupted into an aquatic brawl, and the match had to be called off (Hungary was awarded it 4-0 and went on to claim the gold medal.). Australian police were called to the stadium to prevent a riot, with 5550 spectators threatening to attack the Soviet players. There were already many Hungarian refugees, displaced persons from World War II, living in Australia at that time, and hundreds were poolside to support their team. They had been made aware of the bloody Soviet invasion because of the reporting of courageous Hungarian AP correspondent Endre Marton. Take a good look Abbott and "Costello" Morrison. They're called refugees. They need protection, not turning away. 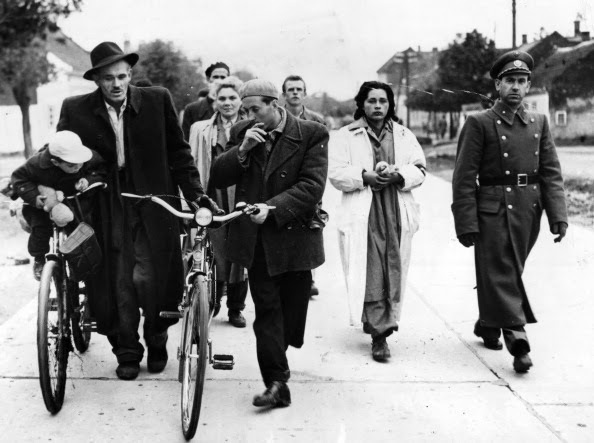 "Refugees" was not then the dirty word the present Australian Government has made it, and both Australia and New Zealand took in thousands of Eastern Europeans refugees, including Hungarians, during the immediate post-war era. Among the Hungarians who very nearly made it to New Zealand were Endre Marton and his wife Ilona. Unluckily for New Zealand, but fortunately for Hungary and a well-informed free world, the Martons' plans came unstuck when a British consul representing New Zealand's interests had to hurriedly leave Budapest. 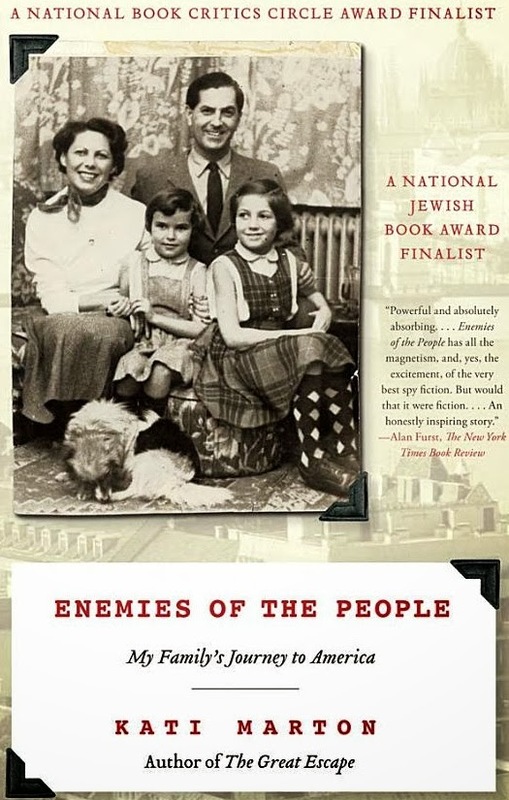 In her book Enemies of the People, author and journalist Kati Marton, a daughter of Endre and Ilona, revealed that she had found among secret files in Hungary applications from her parents to settle in New Zealand. 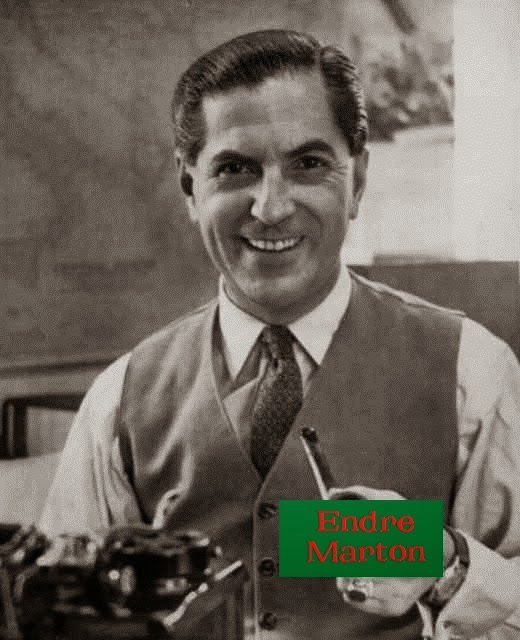 Endre Marton was born in Budapest on October 29, 1910, and died in Manhattan, New York, on November 1, 2005 (three days before the 49th anniversary of the Soviet invasion), aged 95. 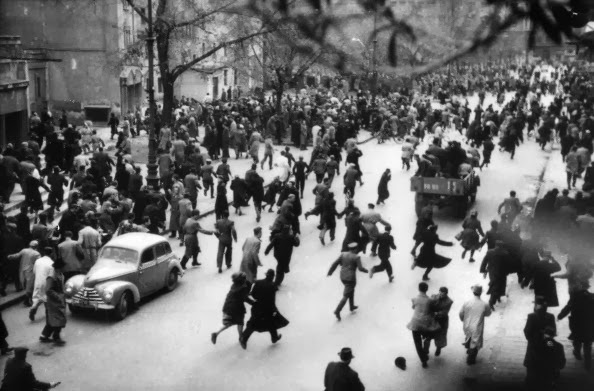 The prize-winning journalist sent the first account of the Hungarian uprising of 1956 just weeks after serving a year in prison for covering the events preceding it. Marton was a correspondent first for The Daily Telegraph of London and later for The Associated Press. 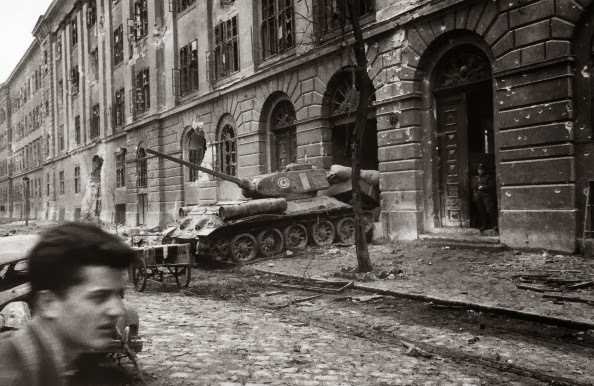 He reported on the Communist takeover of Hungary from the late 1940s through the autumn of 1956, when the anti-Communist uprising was suppressed by 200,000 Soviet soldiers. Back door entry: The Russians are coming! 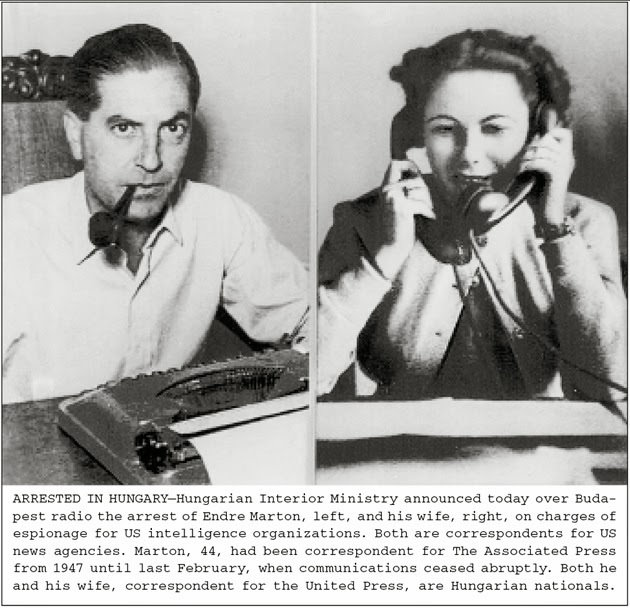 Marton worked beside his wife, Ilona, a reporter for United Press International, who was also imprisoned for her work. 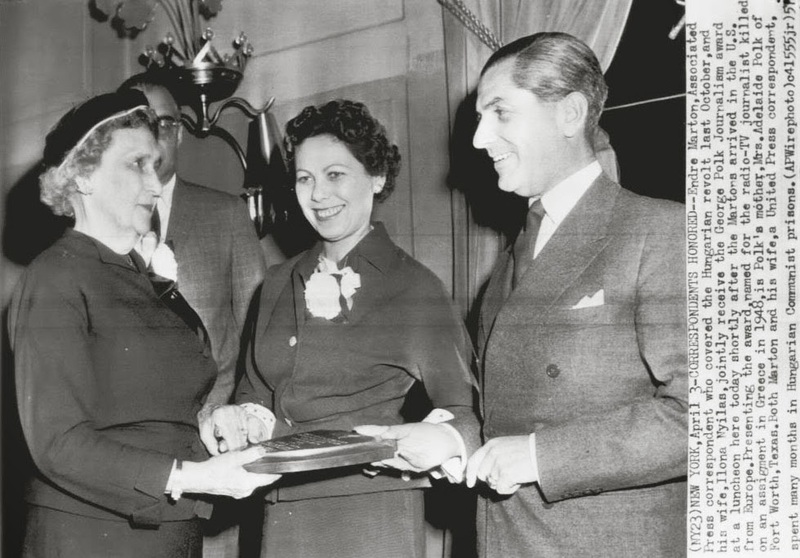 In 1957 the Martons, who had fled from Hungary, shared a George Polk Award. 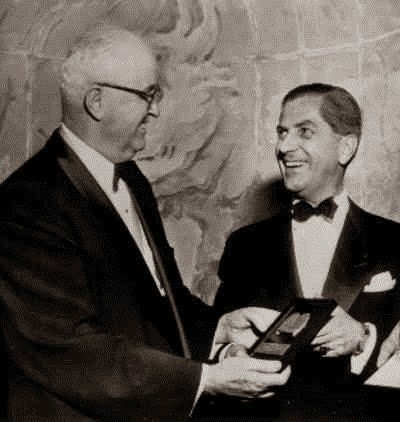 The award is given yearly for reporting in the public interest, often carried out at considerable personal risk. 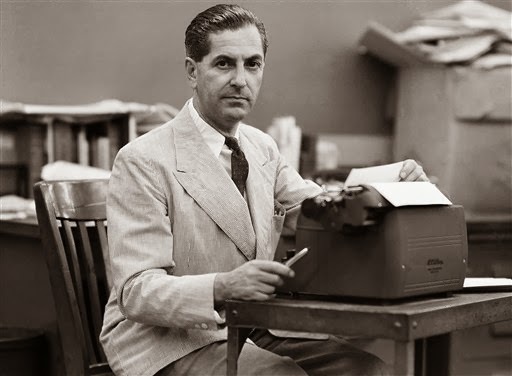 After settling in the United States, Marton was for many years the senior diplomatic correspondent for The Associated Press. In the 1960s he was president of the State Department Correspondents' Association. Marton earned an undergraduate degree from Budapest University in 1932 and a doctorate in economics from the university in 1936. An accomplished fencer, he was a member of the 1936 Hungarian Olympic Games team, but did not compete in Berlin. Endre met Ilona Nyilas at a bridge game and they married in 1943. 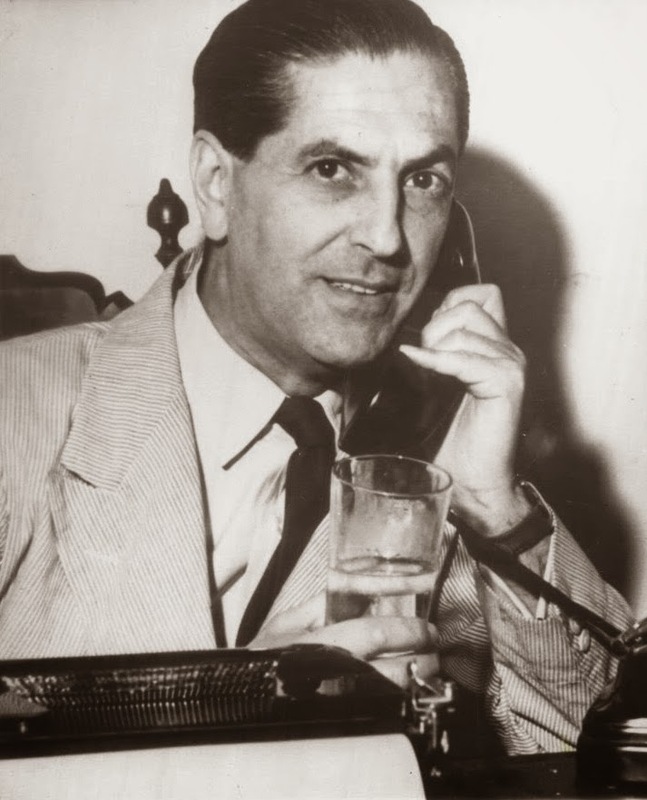 In early 1955, he was arrested on what were widely considered false charges of spying for the United States; Ilona was arrested that June. Tried and convicted in secret by a Hungarian military court, Endre was sentenced to six years in prison, she to three. Ilona was released in April 1956, Endre in August. But their vigorous coverage of the uprising, which began that fall, put them in danger of being arrested again. They and their children were given asylum in the US Embassy, from which Endre slipped out each day to report on the fighting. The family was smuggled out of the country at the beginning of 1957. 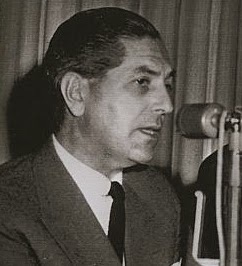 The Martons had covered the post-war Communist regime's show trials of such figures as Cardinal Jozsef Mindszenty and former foreign minister Laszlo Rajk. 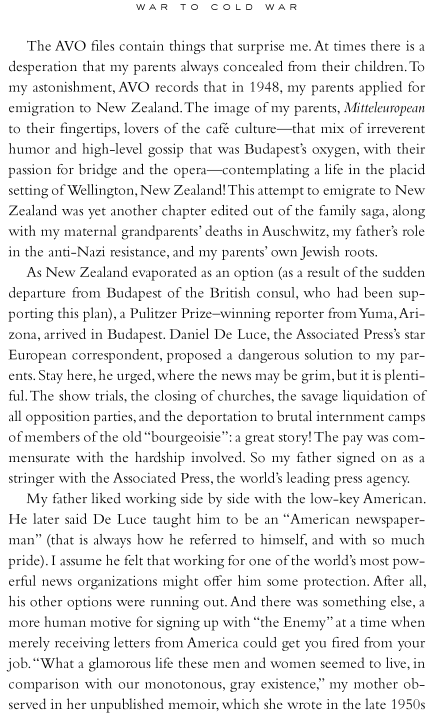 They were rare English speakers working for Western news organisations who also were well-versed in the language, history and customs of Hungary. Because of the authority of their reporting, their bylines became well known to Western news organizations - as well as to the Communist rulers. For a while, there was a farcical element to the workings of the AVO, the despised secret police in Hungary. When the family's cook told Endre that she had been approached to inform on him, he told her he would gladly write the reports himself. This blithe defiance ended in February 1955 after the Martons returned from a party at the US Embassy. Six men concealed in the shadows of their garage arrested Endre on charges of "espionage and plotting against the people's democratic regime" and alleged that he had furnished the US ambassador with state secrets. They allowed him brief parting words with his wife before whisking him off in a black Mercedes. That June, Ilona was taken away by four burly men in overalls who had burst into the family home. She arranged for their children to spend time with strangers sympathetic to her plight. Uncle Joe comes tumbling down. Here's to you, Revoltin' Joe. Both were released in 1956 during a period of clemency for political prisoners, and they returned to work covering the uprising that began that October in response to a renewed call by the Communist Party to limit freedom of expression. 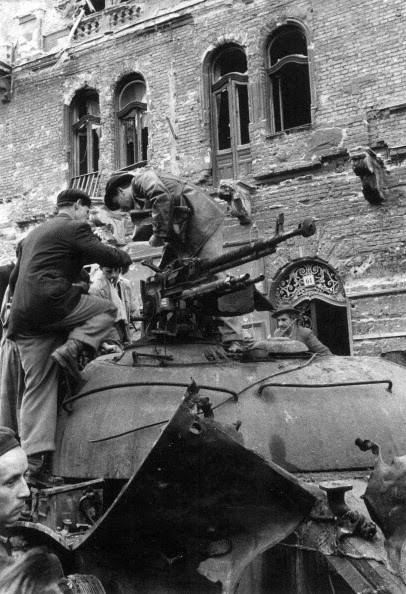 Seeking a story of struggle that also provided a personal angle, Endre once wrote of teenagers who destroyed a Soviet tank but wanted to get home because they were scared of their mothers' anger if they were late for dinner.Ilona plied young revolutionaries with American cigarettes to get them to tell their stories. Thousands of them were killed by government forces. 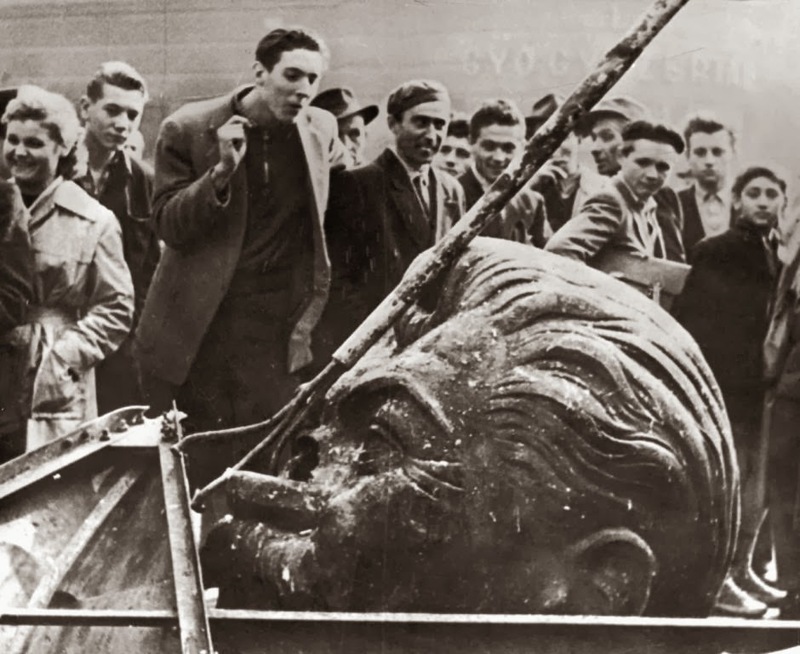 In one account, she described the revolution's appeal: that millions who were raised to fear and worship Soviet leader Joseph Stalin were, after his death in 1953, awash in news about his failings. "The god they idolised was just a man with many sins," she wrote. Overall, Endre called the failed revolt "the lost opportunity of our generation", blaming inaction from the West for losing a chance to create "what could have been the turning point in the growth of international communism". 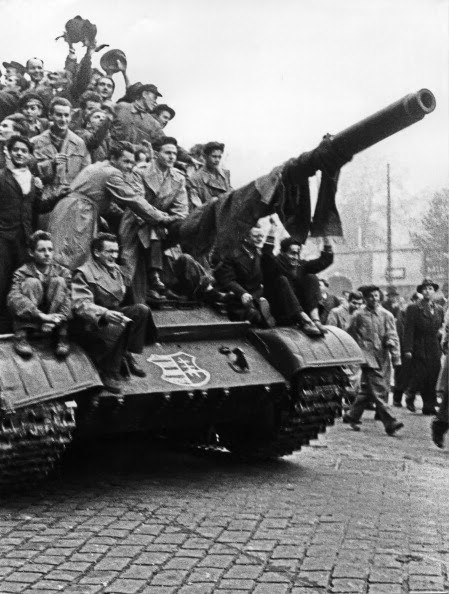 After Soviet troops entered Budapest to quell the rebellion on November 4, 1956, the Martons fled to the US legation - where Mindszenty was also hiding - and were spirited out of the country, first to Vienna and then to New York. They were hailed by Secretary of State John Foster Dulles for providing "a solid basis for the free world['s] judgment" of events in Budapest. Endre's memoir about the revolution, The Forbidden Sky (1971), highlighted a respectful, even chummy tone among him and his jail interrogators. "The eighteen months left no scar on my mind," he wrote. "I have no nightmares and seek no revenge. Ilona is even more magnanimous. She thinks it was an experience which made our lives richer and more appreciative of what life offers. She may be right." Endre moved to New York after Ilona died of pancreatic cancer at the Bedford Court retirement facility in Silver Spring, aged 92, on September 7, 2004. She was born on March 14, 1912, in the Hungarian industrial city of Miskolc. The daughter of Jewish concentration camp victims, she spent much of her early life redefining herself to survive in her native Hungary. She changed her name and assumed an identity as a Catholic. In the US, Ilona taught French at the old Robert E. Peary High School in Rockville and Albert Einstein High School in Kensington before retiring in 1975. Her parents perished during the swift Nazi invasion of Hungary in early 1944. Her mother had managed to sneak a postcard through the crack of a train that led her away to Auschwitz concentration camp in Poland. At that time, Ilona was a history teacher in Budapest. She had received a master's degree in history and a doctorate in philosophy at the University of Debrecen. A story to be proud of! Too bad nothing has changed for reporters. They are still targeted for writing real news. Unfortunately this also means real news hardly exist anymore.